After the excitement of Fox’s visit visa being approved after so many months of planning, I came down from my initial high to discover that I had no idea what I would do when he arrived here. In Kuwait, there is no Burj Khalifa, no Wadi Shab, no nightlife and certainly nothing that is a “must see.” Hmm. However, in the end it turned out perfectly because Fox LOVED his time in Kuwait and that made me oh-so-happy. This is one of the few distinctive attractions in Kuwait so it was inevitable that we would head there first. The entrance fee is 3KD per person and I recommend heading around sunset time so you can see the sun setting over the city. We went a bit earlier and caught the view of Arabian Sea, skyscrapers, desert and Kuwaiti surburbia. Rating: The view won’t blow your hijab off but it’s a pleasant way to spend an hour or so. Maybe couple it with a meal at the restaurant on the top for a really special evening out. I would give it a 3 out of 5 pandas. This is a new structure in Kuwait and as a result, everything is shiny and new. It’s the perfect spot for a brunch with friends, lunch with colleagues or dinner with that special someone. Every 30 minutes there is a fountain and music show which overlooks the many restaurants along the walkway. Fox and I tried out Egyptian cuisine at Beit Shoukri followed by dessert at Overjar. Rating: A great place to dine no matter the time of day. I went in the afternoon but I can imagine it would be even better at night. The fountain isn’t as pretty as the one at Al-Kout Mall however the dining options are far superior. A 3 out of 5 pandas. This is an absolute must do for any visitors to Kuwait and your friends and family will love the authentic Middle East experience of a souk. You can buy ANYTHING here from chalk to figs. Fox was lucky enough to come during February which is the month when Kuwait celebrates it liberation from Iraqi occupation. As a result, the souk was lit up with all sorts of pretty lights and selling heaps of kuwait paraphernalia. Rating: Finish off your souk experience with a shish taouk (mixed grill) at any of the open air restaurants in the courtyard. For 7 people our meal came to 23KD and we still had leftovers. A 4 out of 5 pandas. At the Movenpick resort in Bida’a (not the one in Shuwaikh as we learnt the hard way), a company called Kuwait Water Sports offers different water based activities such as windsurfing, sailing, kayaking and paddling. I think this is a new company as their equipment seemed brand new and it was super quiet when we went. This was the highlight of Fox’s trip as the lady who taught us how to paddle was so patient and we were given personalised attention. As a result, we learnt the skill super quickly and spent a leisurely hour paddling around the Arabian Sea. Rating: Choose your weather carefully as you will be outdoors and falling into (freezing) water if you’re clumsy. If you can, go from late Feb to mid April or alternatively, October to November; you should have a great time. Definitely 5 pandas out of 5. Not exactly something Kuwaiti but still super quirky, this cafe is perfect for an alternative to a standard coffee shop. From the 80’s rock music to the arcade games, this place has nailed retro chic. They have a host of funky things on their menu (not just cereals) which include chocolate tacos. Fox and I just had some caramel and peanut butter hot chocolates since we were not hungry but Cereal Killers is an absolute must visit. Rating: Loved the vibe, decor and drinks as this establishment. Definitely giving it a 4 pandas out of 5. So one of the things I wanted Fox to experience while he was here was typical Middle Eastern opulence and excess. I found this perfectly at the Jumeirah Hotel where we had lunch one day. The scenery is GORGEOUS so sit outside at Mint Cafe when you go. Every inch of the exterior is perfectly manicured and well thought out and the service is incredible. Walking through the hotel lobby let’s you admire the custom made furniture, gold railings and huge chandeliers. Rating: Unfortunately the quality and taste of food did not match up to the price of the bill which is the only reason I’m giving this 3 pandas out of 5. Of course there was more I would’ve loved to do but I was trying to balance work and entertain Fox so there weren’t enough hours in the day. Other places I would’ve liked to take Fox include the shooting range, camel races and for a picnic in the desert at Mutla Ridge. 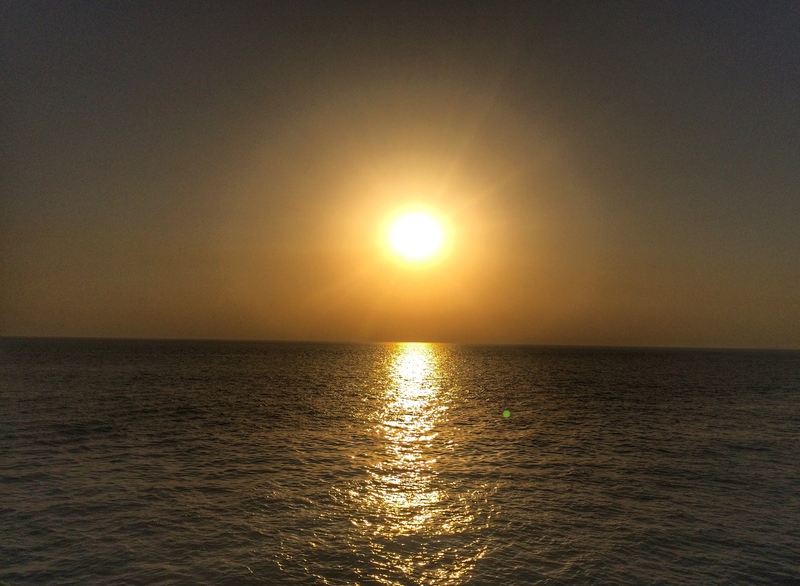 For even more options of what to do in Kuwait click here which will take you to some of the experiences I’ve had in Kuwait. Surprisingly, when you put your mind to it, you can find heaps of things to do and it reaffirms my belief that making the best of what you’ve got is the way to go! Fox really enjoyed his time in Kuwait and for that, I was pleased. His only complaint was about the crazy drivers in Kuwait which leads to my point that while your visitor/s are in Kuwait, try to rent a car. It works out way cheaper than taking cabs everywhere! With heavy hearts, Fox and I departed Kuwait in order to head over to Jordan where we experienced the adventure of our lives… full details in the next few posts! P.S. Click the links for details and please contact me if you need more information about where to take your visitors in Kuwait or for info on how to obtain a visit visa. Looks like you two had a lovely time. I would love to check out that cereal place to play all the old arcade games. You make me wanna visit Kuwait. Maybe soon. 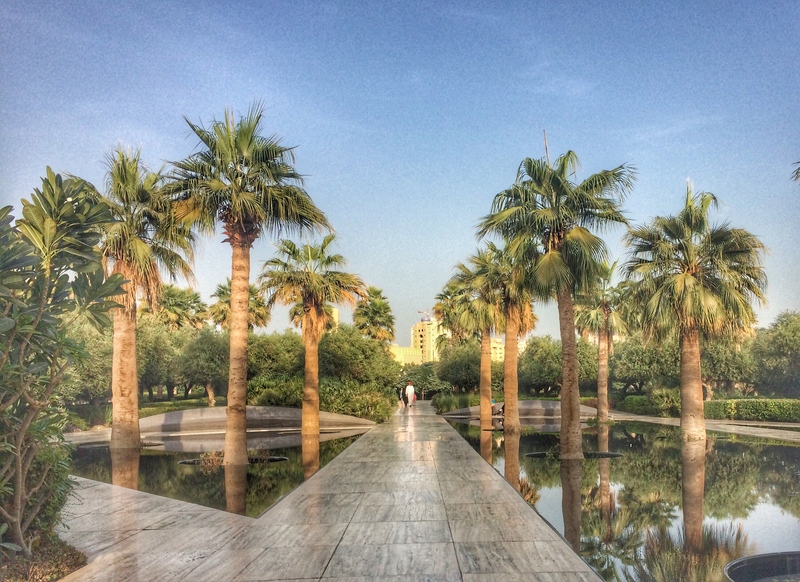 Kuwait is great between now and early May for a quick weekend getaway! Anything longer and you will die of boredom haha. The classes are every Friday and Saturday from 2 – 5 pm. We take in serious coaching and as well as fun loving stress busting sessions. Kids will enjoy and learn new skills. We seek to empower the kids with specialized life changing skills that archery gives them such as Aim, Focus, Concentration, Confidence, Proper posture, social skills, patience. I can’t stop smiling , its as if you have written a post on my behalf. My brother was here from 23rd-27th and we went to the Kuwait Towers and the viewing sphere and Souq Mubaraikiya the very first day he arrived. We also took him to Bayan Botanical Garderns about which I read on fellow expat blog https://scottishfamilyadventures.wordpress.com. A nice place to spend an hour or two. What I would recommend for next time is Mirror House. We absolutely loved the place and I adore the creator and the host Lidia . Do you think I should write a post abt my experiences too? Would anybody read it? Nicely done Panda! Glad that Fox had a great time with you in Kw. Most important thing is that you’ve been together. Was He able to visit you in your flat? Great photos, and it’s a good time cuz the weather is chill right now. You are really so cool doing that paddling, I would like to try that sometime too.I once did jet-ski in the Arabian Gulf, that was the fad then. Oh I didn’t know that you’re wearing a turban! When my in-laws visited us, I have brought them to Kuwait towers but it was still closed back then ! Mubarakiya is something that I have always recommended for a taste of culture but then it can be too crowded as well. Have you seen the SoMu area? My favorite restaurant so far is the Al Boom besides Radisson Blu, we had our wedding reception there as well as in the Al-Hashemi. There’s a nice Kuwaiti restaurant that I highly recommend as well, in the Mubarak al Kabeer st. in Salmiya, name is Fareej al soeleh, a taste of authentic arabic dishes! Looking forward to read about your Jordan escapades! Thanks so much for the recommendations, I’m always on the lookout for new places to try! Yes my husband was staying with me in my flat which was really great but also, even sadder when he left. I am really enjoying the weather right now, hoping to spend the next two months outdoors as much as I can 😊 Is Al Boom the restaurant that is in a dhow ship? It must be awesome if you had your wedding reception there! Yes,Al Hashemi is the largest Dhow in the world,and Al Boom is another traditional dhow which was converted into a restaurant.If you come there,make sure you’re famished since the food is huuugeee!😫😥 but it’s a great experience. But it is pricey-30kd p/person I think but I don’t know the rate now. Great post! I totally get the whole “not much to do” conundrum when you have people to visit, but you hit the nail on the head and did the great things kuwait has to offer. I’ve not been down the cultural centre yet and I’ve heard only good things about overjar but I need to detox a bit more from the holiday before I head down there! Great pics and you certainly captured kuwait in a great way. Thanks for the feedback… I really do enjoy my time in Kuwait but sometimes I find it difficult to express that through my posts!